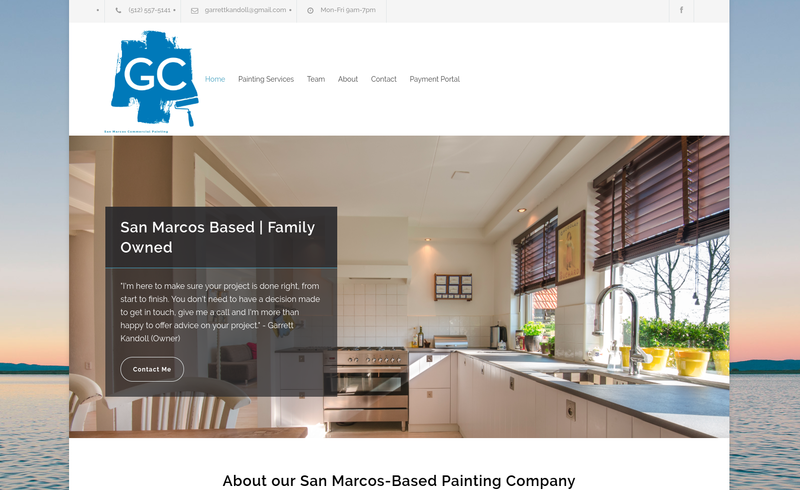 Garrett approached us about creating a new site for his Texas-based painting company, and also optimizing the site for search engine visibility. Search Engine Optimization (SEO) is a complicated, work-intensive technique. To accomplish this task, we brought on Lucas Holmgren Media to work on the content and behind the scenes tools for helping the website’s reach. The website look is sleek while also having an easily updatable back-end. And, thanks to Lucas’s expertise, Garrett’s business shows up on the first page of a Google search when using popular key words.